It's been all over the news how the East Coast is amidst a heat wave, so I had to plan accordingly when packing for Chicago. We're talking high 90's into the 100's... eek! Plus my friend warned me we would be doing a lot of walking! double- Eek! I knew that most of my outfits, if not all, had to be lightweight fabrics, dresses or shorts paired with comfortable shoes (in fashionable terms: cute sandals and converse). 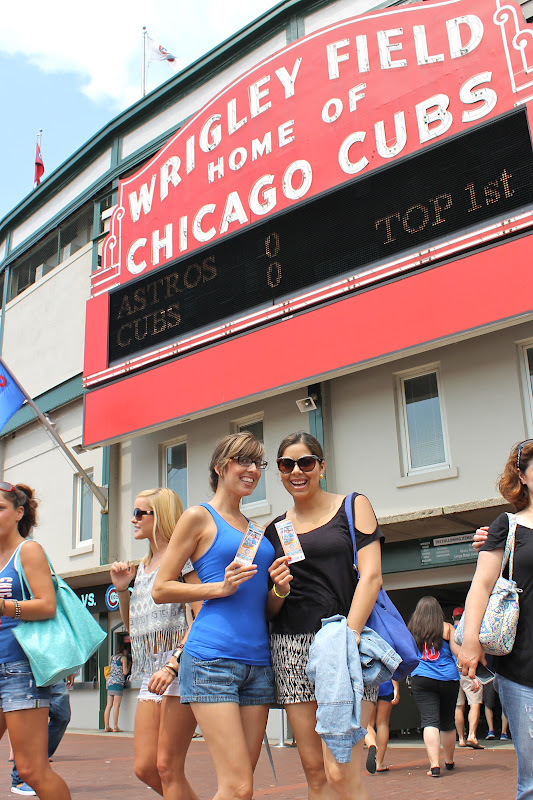 On this day, we went to Wrigley Field to experience a Cubs game! It's so exciting to see a classic stadium with the good ol' scoreboard. I was debating on what to wear because it was going to be MEGA hot and we would be sitting out in the sun while watching the game. 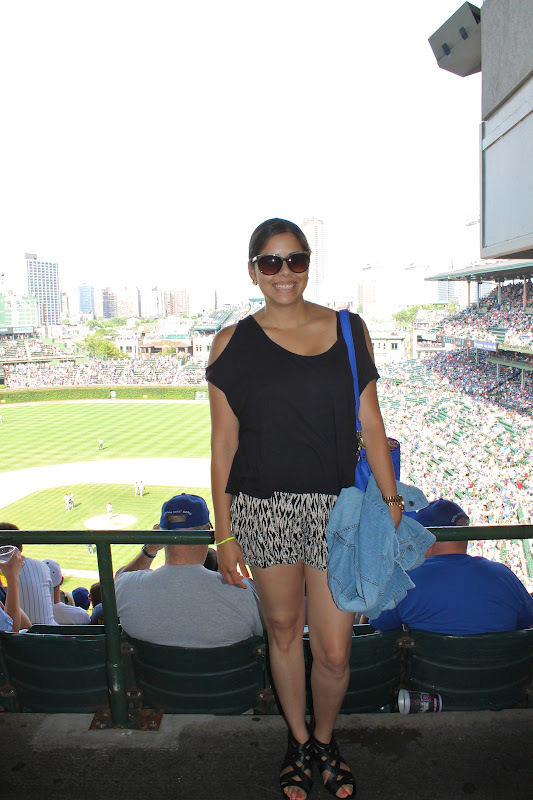 It made me wonder about sports and fashion: how do you dress to a sporting event? For me, I want to be cute but not too blah and that compromise came in this peek-a-boo shoulder loose cotton top and these cute print cotton shorts both lightweight and allowed air to flow in. Love the casual look! Looks like you had a blast. I am thinking of making it out to Chi town this summer and your pictures are only making me want to realize this more. Love your shorts! You look casual yet still very chic. So cute! Love love the shorts! Your friend definitely showed you a great time! 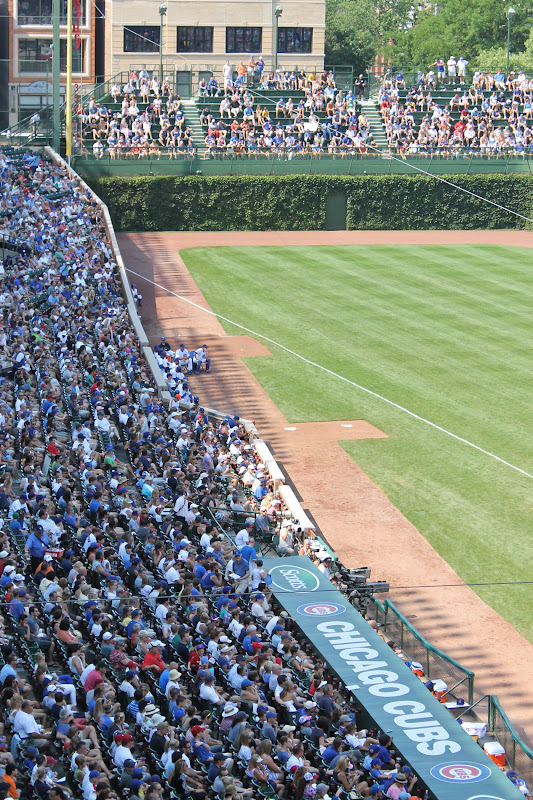 Glad you enjoyed Wrigley Field and the game! It definitely gets hot and humid here during this time of the year. You look stylish and perfectly dressed for a baseball game! You look great. Why haven't I found your blog earlier?! I'm totally following you now! i love ur short, well coordinated outfit!!! Wow what a fun weekend! Love your look, the pop of blue is fantastic! Love this outfit. The cut-outs in your top are adorable! And I just love Chicago. My mom's side of the family lives there and I always love going to visit. Looks like ya'll had a great day! bella mi tocaya como siempre!!! esos shorts me encantan!! 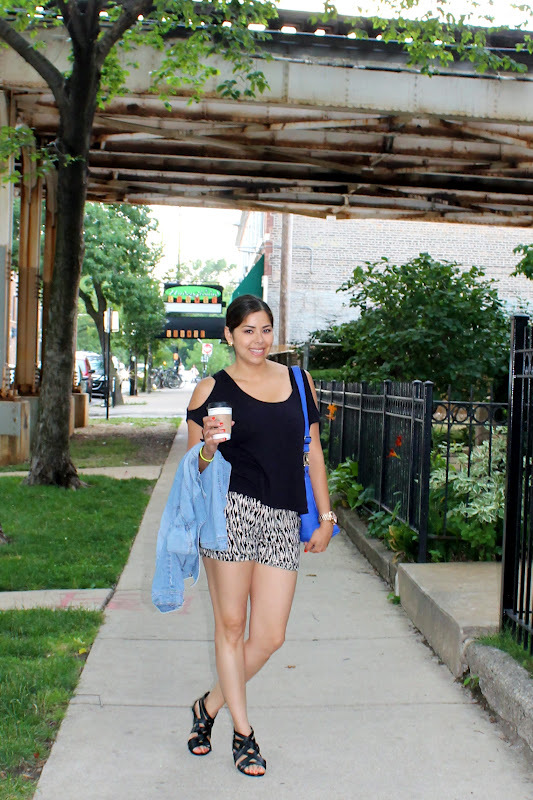 following you now on GFC & Bloglovin! nice blog!